During the 2018 Goodwood Festival of Speed (FOS), the world had a good look at the 2019 Toyota Supra make its run uphill via video streaming. 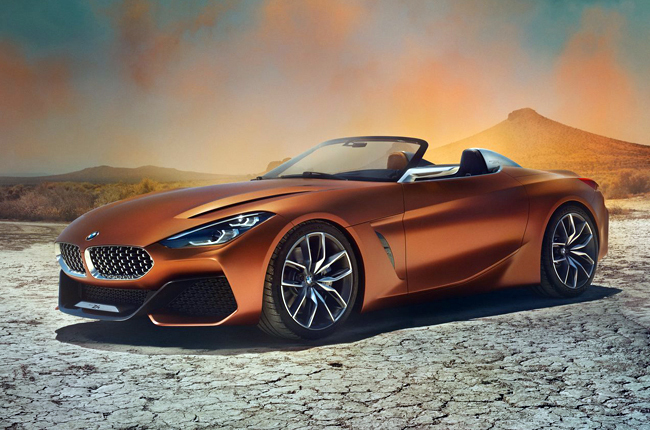 Little did its viewers know that its “twin” – the BMW Concept Z4 that shares its platform via a joint project with Toyota – was also on display during the event. Luckily, BMW UK recorded a walk around to give us a closer look. On the video below, the Z4 is coated with what the brand calls “Energetic Orange” color (it looks more like regular brown, though). 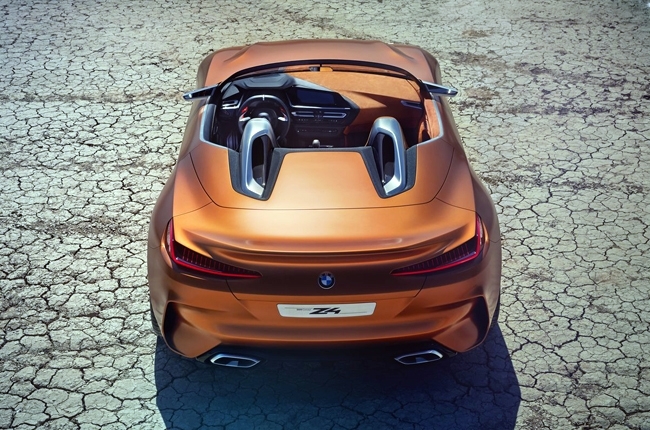 Noticeably, the Z4 sits really low on the road and takes on a real roadster look with its two massive kidney grilles, a long hood, short rear end, a soft top, and air vents upfront to help cool down its engine. 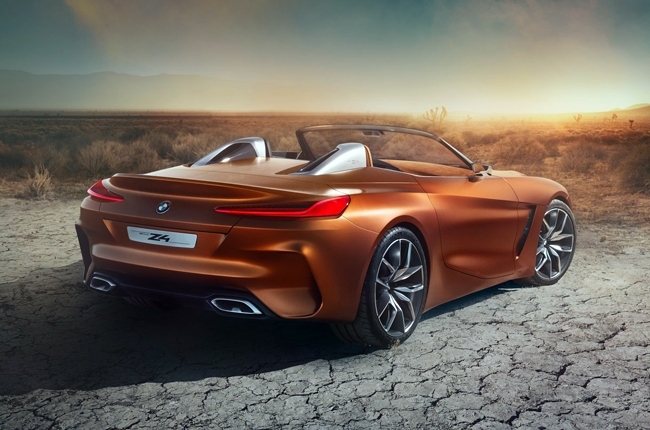 Speaking of its engine, BMW has been secretive of the Z4’s technical specification. But it’s rumored to be equipped with the same 2.0L four-cylinder engine. 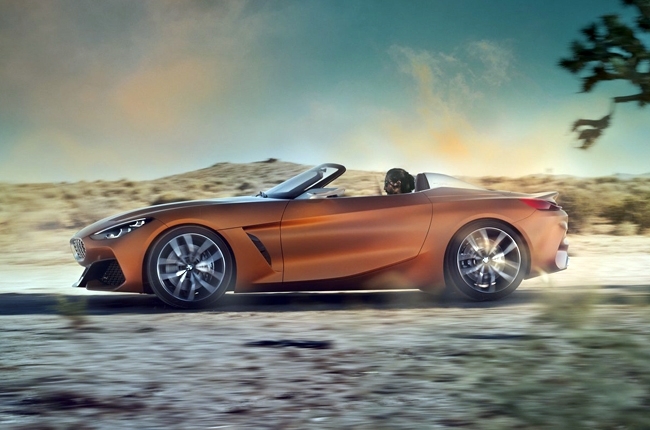 Meanwhile, transmission options for the Z4 may include a six-speed stick shift and an eight-speed slushbox. As to how much power the Z4 will have, it is said to make somewhere between 260 to 300 hp transferred to the rear wheels. How true can these rumors be? Motor1.com says that the Toyota Supra’s Chief Engineer Tetsuya Tada has confirmed that there’s a four-cylinder engine option for the A90. And since the 2019 Toyota Supra and the BMW Concept Z4 share the same platform, then the possibility of sharing the same engine specification is high.